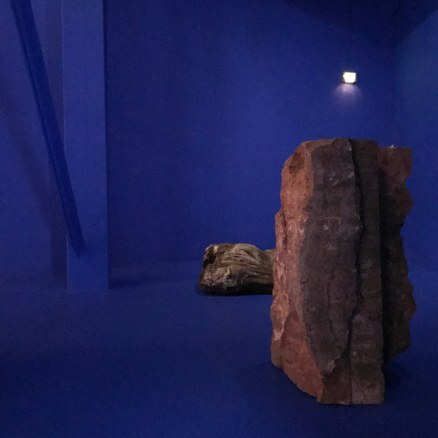 Installation view of "Adrián Villar Rojas: The Theater of Disappearance,"
Step across the threshold of Geffen Contemporary and an employee will issue a warning about the potential risks of wandering in stygian darkness and tripping over chunks of rock. 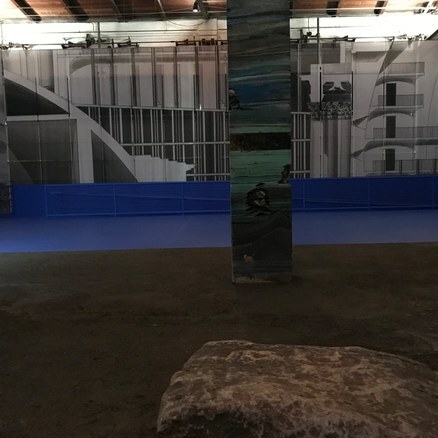 For his exhibition The Theater of Disappearance, Adrián Villar Rojas demanded and received permission to alter the huge warehouse to suit his Blade Runner-like dystopian vision. 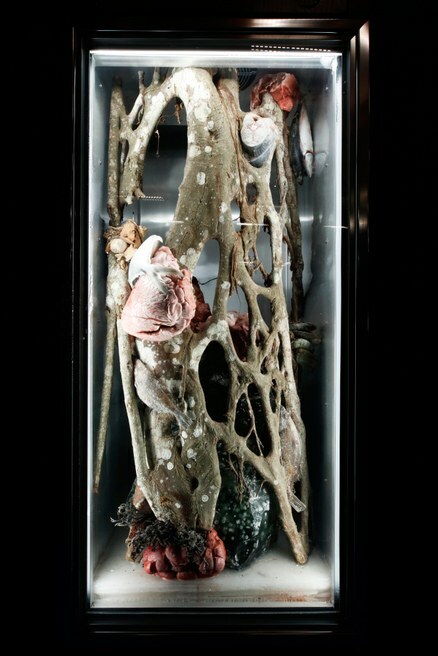 The 37-year-old Argentinian artist is well known for his interventions within cultural institutions. 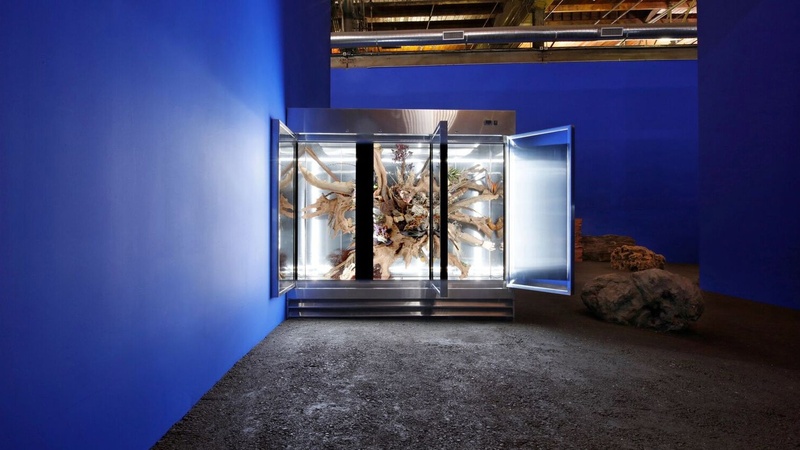 Like LA's Conceptual art pioneer Michael Asher, and many other artists practicing what is known as "institutional critique" since the 1960s, Villar Rojas challenges implicit politics and predetermined notions about the making and exhibiting of art. He is determinedly nomadic, traveling from place to place to study and react against their present and past conditions. 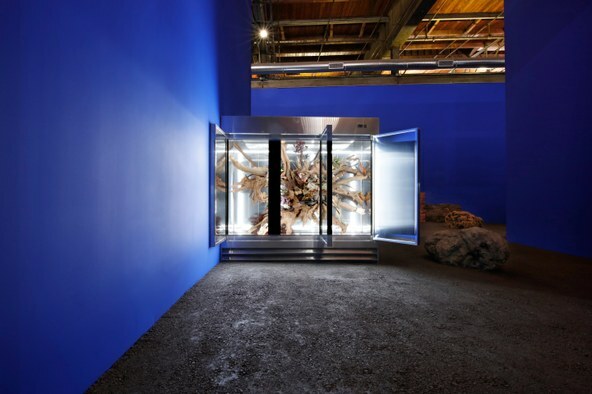 His show at the Geffen is a site-specific excavation, drawing from materials pertaining to the history and culture of MOCA. He looked as well to this area's uniquely extensive resource of Hollywood production designers. 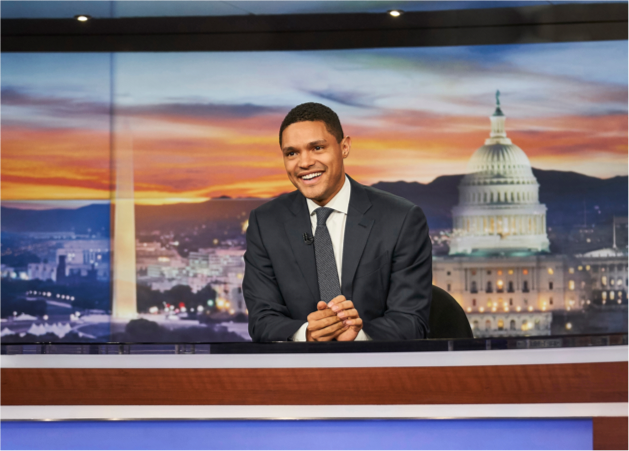 The reference to "theater" in the show's title is intentional: the show only exists in this format for a specific period of time and, like theater itself, never can be duplicated exactly. It is designed for maximum dramatic impact. There are quite a few artists in their 30s and 40s who operate within this wrinkle of the large rumpled garment of contemporary art. 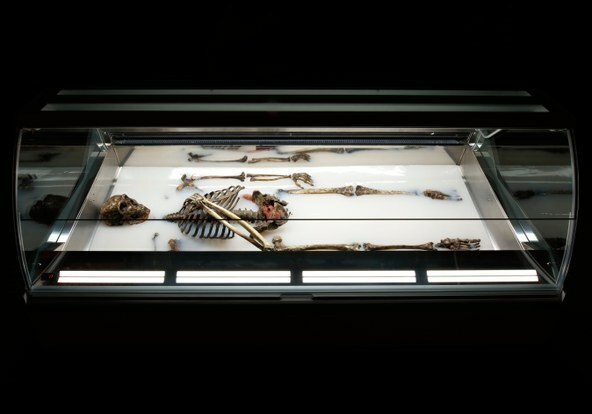 MOCA literature cites Villar Rojas's attempt to address a "post human" condition. This may allude to the dismal future expressed in this show. Yet, the effort itself speaks to the all-too-human desire to make sense of an abruptly shifting and incomprehensible sense of history. Organized by curator Helen Molesworth and Brian Barcena, the show does have something of an historically-long run: It continues to May 13, 2018.